Professional and affordable BBQ repair in Alta Vista! HIGHLY RATED! Our company does BBQ repair in Alta Vista. We are number one provider of professional BBQ repair, BBQ cleaning and BBQ restoration services in Southern California. We have the best specialist, the best tools and we carry the majority of the parts. 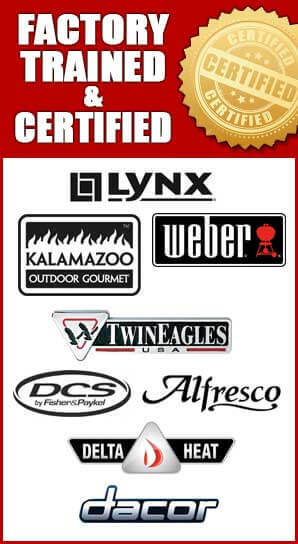 Our company repairs all brands and models of barbecues including Alfresco, Capital, DCS, Fire Magic, Kalamazoo, Lynx, TEC Sterling, Thermador, Twin Eagles, Viking, Weber, Wolf. We specialize in high-end barbecues and outdoor kitchens. All of our repair specialists are factory trained and certified. They can take good care of your grill and make it functional again! 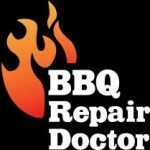 Our company BBQ Repair Doctor has been in business for more than 30 years. We serve Alta Vista, Los Angeles, Ventura County, East Bay and San Diego. We service gas BBQs, charcoal BBQs, electric BBQs, portable BBQs and smoker BBQs and much more. But that’s not all. 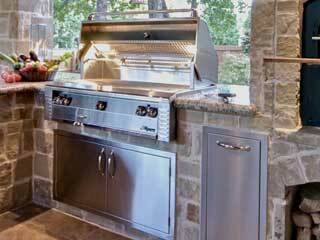 Our company does the repair and cleaning of your entire outdoor kitchen. For we do patio heater repair, pizza oven repair, outdoor refrigerator repair, commercial oven repair and charbroiler repair and much more. No project is too big or too small for us. We are very experienced with all aspects of commercial appliance repair as well as residential. We will assess your situation, give you an accurate quote and order the right parts for you. Then we will install those parts and make sure that at the end of the day your appliance is working beautifully. Besides having all the skills and knowledge needed for BBQ repair in Alta Vista, we also offer you a friendly and helpful customer service. We have flexible appointments, accurate estimates before any job and FREE service call. Also, you get the ultimate protection with our 30-day full warranty on parts and 90 days warranty on labor. Our technicians are always polite and helpful. They will go our of their ways to keep our customers happy. If you are looking for a BBQ repair in Alta Vista, give us a call at 858-433-0703. We will answer all of your questions and will schedule a convenient appointment for you. Our technician will often preorder parts for your project and will be on his way to your home. He will bring with him all the tools and equipment needed for your particular project. As soon as he gets there, he will get to work. First, he will diagnose the problem. Then he will find the best solution for it. Usually, this involves replacing old and worn parts. But sometimes all it takes is a little tinkering and cleaning our the mechanism of your grill. First, he will diagnose the problem. Then he will find the best solution for it. Usually, this involves replacing old and worn parts. But sometimes all it takes is a little tinkering and cleaning our the mechanism of your grill. No matter how well you take care of your BBQ, sooner or letter you will need a professional cleaning or repair. The dirt and grime from barbecuing accumulate in hard to reach places, and over time it can damage even the hardest materials. We will take your grill apart and look at each part and clean it up. 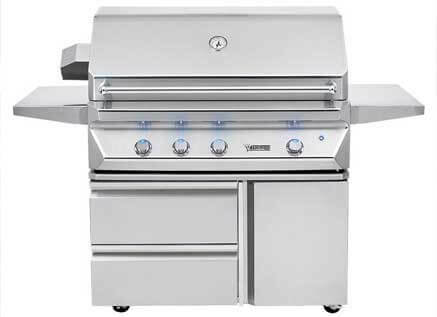 At the end of the appointment, you will get a perfectly functional, safe and clean BBQ grill. Our technician will even make sure that gas or propane connection is working appropriately. We will take care of every detail so that you can have total peace of mind. We will even give you some advice on how to keep your grill in the best shape possible. We are the most experienced and knowledgeable company in Alta Vista area. We provide professional barbecue repair, cleaning and restoration services on all brands and models of barbecues. Our technicians are factory trained and certified. They will work fast and get the job done right. Also, we use only genuine, top quality parts. With our skills and excellent customer service, you can be sure that your appliance repair appointment will be fast and convenient. The final product will be a grill that is safe, clean and fully functional. 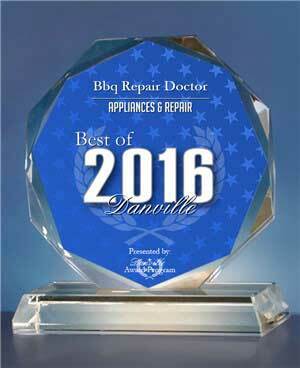 We are proud of our work on BBQ repair in Alta Vista. Please check out our before and after images. We would love to help you with all of your BBQ repair in Alta Vista needs! Please call us at 858-433-0703 schedule an appointment or ask a question. Or fill out our short online form. We would love to hear from you and answer all of your questions.